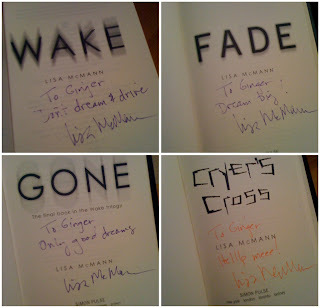 I had the pleasure of meeting Lisa McMann last night while she was in town for her Cryer's Cross book tour. She was at Murder by the Book in Houston, Texas signing copies of her books, reading a few chapters, & answering questions. Lisa was such a delight! Very down to earth, and very friendly. I love that she asked the audience who follows her on twitter & immediately she knew who we were! So fun to put a face to a twitter name, right?! I brought my Wake trilogy books for her to sign as well. 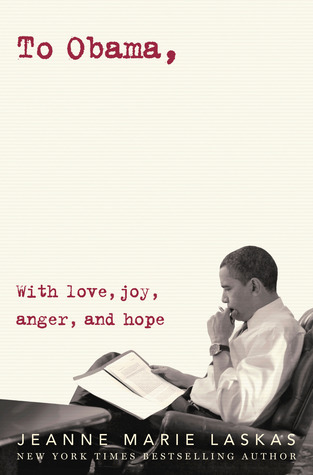 If you have not read those books, I suggest you do immediately! I devoured these books a few years ago. Believe it or not, they were read long before this book blog was even thought of! She helped fill my void after I read the Twilight series (for the 3rd? or 4th? time lol). Lisa not only read from her new book Cryer's Cross, but she also gave us a teaser from her upcoming new series The Unwanteds (due out Sept. 2011)!! The Unwanteds is a dystopian novel about a world who values strength & intelligence, over creativity & originality. The few chapters that she read to us sound very, very interesting!! Thank you Lisa for making a stop in Houston to come see us :-) and there may or may not have been talk about naming her next character Ginger ;-) Go pick up Cryer's Cross! It's out in bookstores now!! Love love love! Can't wait to meet her on Saturday! We are excited for our stop! Great picture! How great is that! You're so lucky! And I like what she wrote on your books, so funny! Looks like you had a good time, G...so glad. And I agree with Ingrid, her messages in your books are funny. WOW this is so awesome! And I'm jealous! 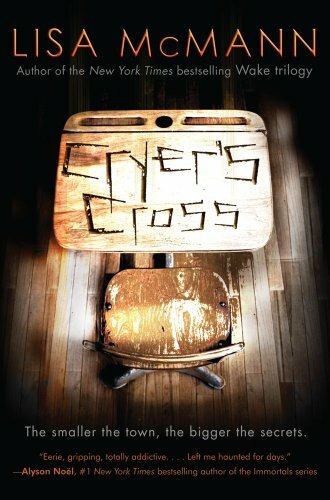 Just finished Cryer's Cross 5 minutes ago! It's great! :) Love all the signed books! I have so much love for Lisa McMann. THRILLED you have a fabulous time with her! I love Lisa!! She's fantastic. That's such a great picture of you guys. I'm looking forward to meeting her again tomorrow here in Austin. 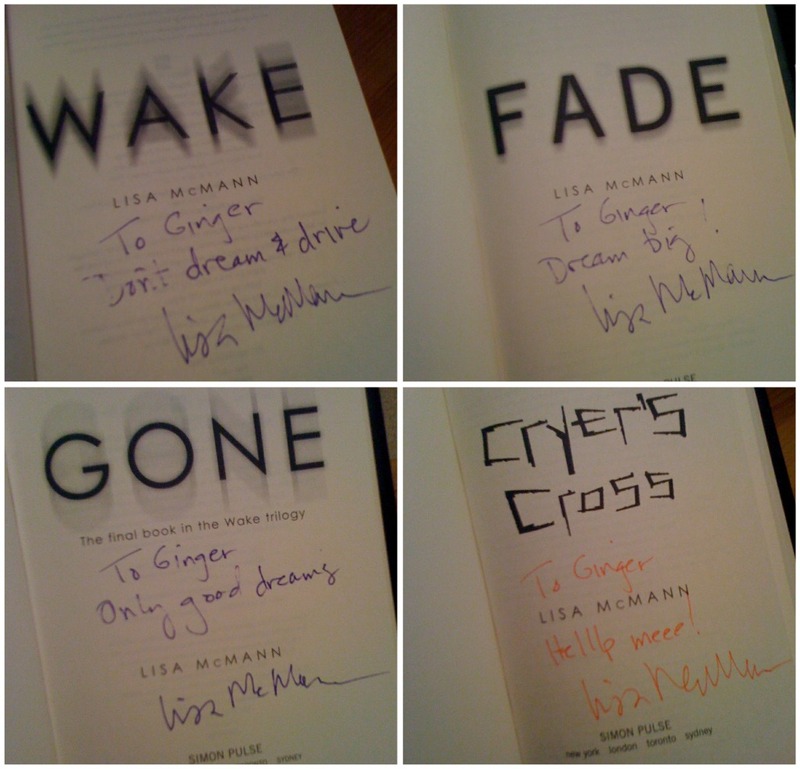 I just bought Cryer's Cross, and now I need to get my hands on the Wake trilogy. i met her too! she was so funny!